I live blogged the event on a series of barely coherent post it notes which were translated/photographed into tweets from the account of the other teen librarian who is not Marcus. The following are my post it notes as they happened, transcribed without alteration or editing from those post it notes. How is this live blogging? It isn't. It is Art. And in art we lie to tell the truth, thus, this is live blogging! I present the text of the notes numbered, but otherwise, as I said, unaltered. 1. Said to James Dashner: If you need anything from the Vending Machine, just break it. He laughed politely. 2. 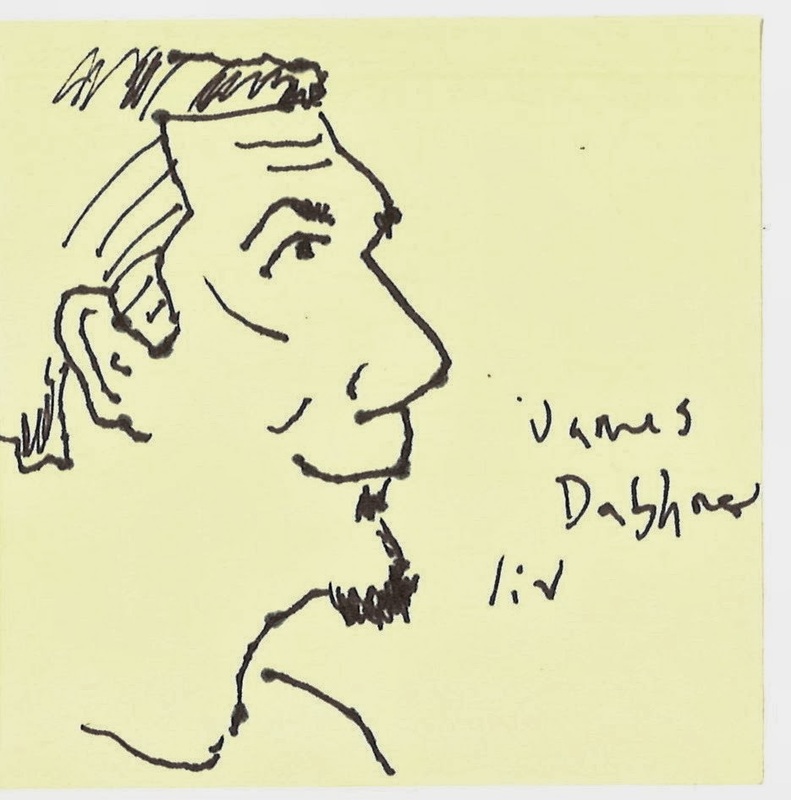 James Dashner at the Library not all about me, but I am trying hard to make it that way. 3. James Dashner said to me! "If I worked at a Library this is the Library I'd want to work at." 4. When James Dashner said he'd work at this Library I said if I wrote books I would write his books. Oh how we laughed. 5. Pressure from fawning over famous person too much, left room awkwardly. 6. Teen Librarian approves of crowd size. Doubt that Random House does. 7. Never thought about name "Random" House. So... they just collect all submissions in huge pile and... pick one? 9. James Dashner asks crowd of 107 Has anyone started my new book? I get to raise my hand having read 1st paragraph of Marcus's copy! 10. James Dashner talking, am distracted by weird impulse to sign a bald man's head. 11. Ability to listen to James Dashner further eroded by incoming people making me feel trapped in room! 12. James Dashner seems nice but MUST GET OUT OF ROOM! 13. At James Dashner: NO WAY OUT, Paths appear open then close up, need oxygen, night falling.